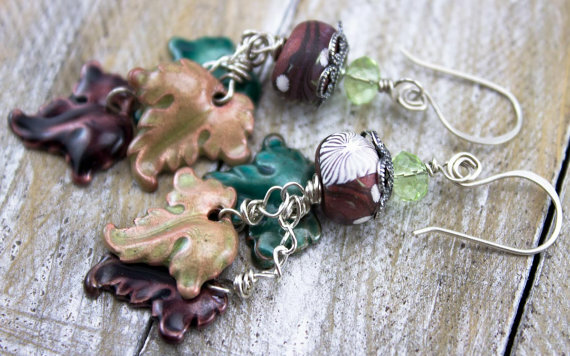 Carol Dekle-Foss of Terra Rustica Designs created these gorgeous autumn inspired earrings with enamel leaves and Humblebeads Copper Branch Disks. So love the colors! Rebecca Anderson of Songbead just has a way of making Humblebeads shine! This bracelet makes me want to sing!!! 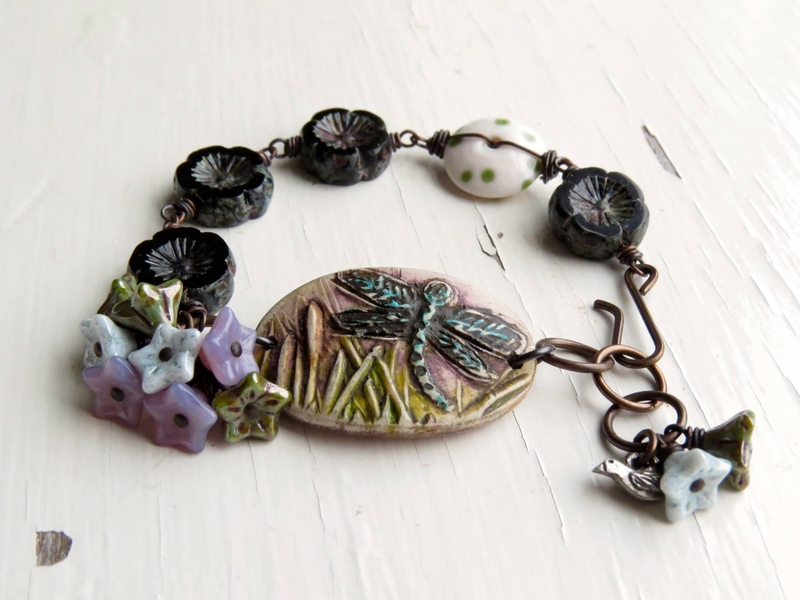 She paired her Humblebeads Dragonfly Cuff with a great collection of Czech glass and brass. 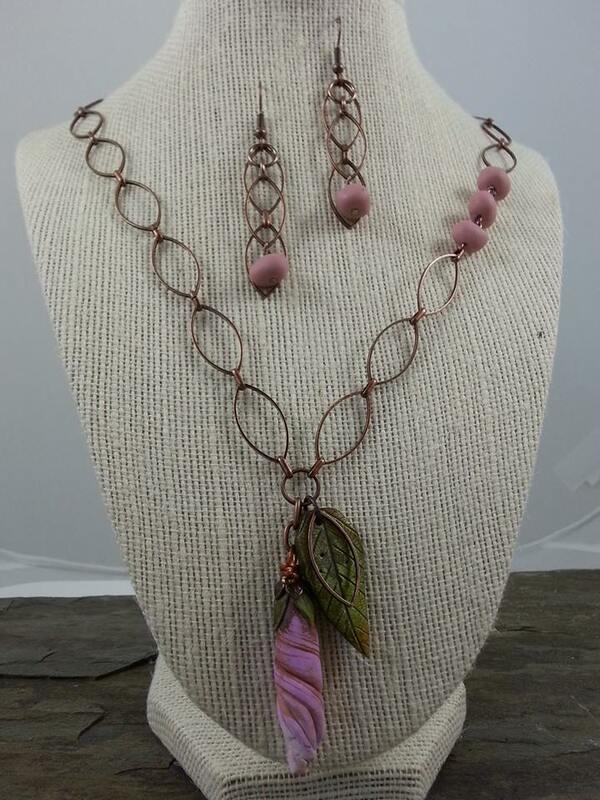 My friend Molly Schaller designed this elegant set pairing copper chain with her Humblebeads Hibiscus Pendant, Leaf Pendant and Wobbles. Look at those clever earrings and the little touch of asymmetrical design with the tiny accent beads creates a unexpected and welcomed surprise. 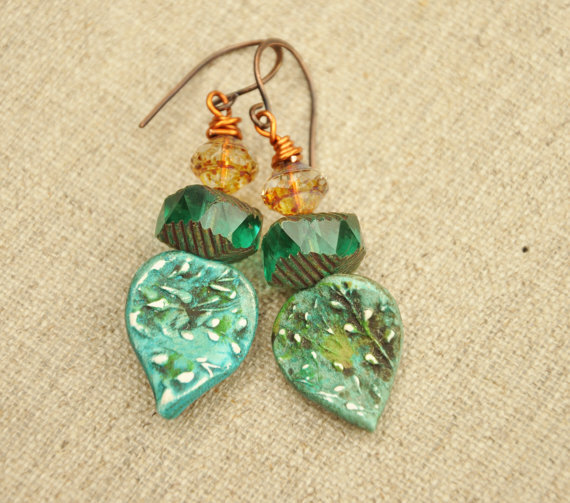 Kaushambi Shah of Ornament Lounge created a pair of earrings with her Humblebeads Petal Headpins in teal and added colorful glass accents.